Glowcare is a family owned and run, Vaillant UK official service agency for North West England, established in 1992. Locally based, we serve all areas in and around Chester, also attending customers’ Vaillant & Glow-worm boilers in all other towns and smaller rural areas throughout Cheshire, Wirral and Flintshire. Glowcare provide sensibly priced, expert repair and service for Vaillant ecoTEC plus, 824, 825, 831, 832, 835, 837, 838 & 937, ecoTEC pro, 24, 28 & 30, and all other Glow-worm Gas combi and system boilers. Since 1992, we have offered our valued Chester customers, a knowledgeable, friendly and affordable boiler repair service, dealing with Vaillant boiler problems and issues. These can include F.27, F.28, F.61, F.62, F.63 & F.64 Fault Errors codes, leaking Diverter valves, Faulty F.75 Pressure Sensor’s, faulty PCB, blank display screen, and boiler pressure dropping issues. As Vaillant’s service agent, we work on the latest high-efficiency Vaillant ecoTEC plus and pro boilers, Vaillant ecoFIT pure combination & regular boilers, Vaillant Home regular combi & system boilers and the Vaillant ecoTEC exclusive Green iQ combi boiler. We also carry out servicing and repairs on the older Vaillant ecoMAX and TURBOmax boilers. For Glow-worm boilers, we repair and service the Ultracom2, Energy, Ultimate, 24,30 & 38 CXI, HXI, SXI System and Combi gas boilers, resolving problems including F1, F3, F9, F11, F12, F13, F14, F22, intermittent pressure gauge dropping. We carry a comprehensive stock of genuine Vaillant parts with us, ensuring a single visit repair. As well as repairs, we also provide for our Vaillant customers the important Warranty Qualifying Service, that must be done at the end of each year, to keep the boiler’s warranty valid through it’s guarantee period. Glowcare has continuously attended Vaillant factory training courses, that are held at Vaillant’s Centre of Excellence at Belper, adding to our specialist knowledge of all Vaillant boilers. Gas Safe Registered, we are qualified to work on both Natural Gas and LPG boilers. Please view our Testimonials page to see how our valued customers rate the services that we provide. 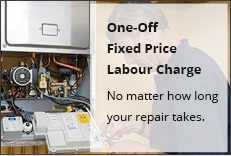 Contact Us today on 01244 880725 or 07789018775 for our fixed price repair or service. Listed below are the areas we cover in and around Chester. We also serve all small towns and villages throughout rural Cheshire.